Acquiring a commercial property either leasehold or freehold for owner occupation or investment can be fraught with difficulties. Our specialist expertise will ensure that your company is protected from risk, the best property terms secured, fulfilling your relocation on time and within budget. By appointing Bulleys to act on your behalf, you can achieve the best available property solution for your business whilst minimising the amount of valuable management time taken up by the process. Preliminary discussions to understand and agree the parameters for the search with you, including preferred location,tenure and building specification. Advice on the best deal structure. 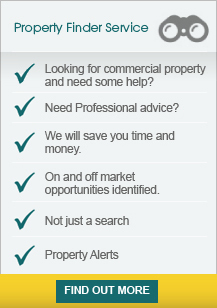 A full search of the market for suitable properties, including on and off market opportunities. A detailed researched report and market analysis on opportunities for your further consideration. Assistance with short listing of suitable properties. Negotiation of the best terms available. Procurement of pre-acquisition survey (freehold) or schedule of condition (leasehold) to minimise your repairing liabilities. Rating advice to minimise future occupational costs. Liaison with solicitors and vendor/landlord to ensure that the transaction progresses satisfactorily. Our advice invariably pays for itself several times over through savings in property costs or increased rental incentives and ensures that the many pitfalls of property transactions are avoided. For more information please use the Contact us link. Four rare industrial units recently put up for sale in the Black Country are attracting strong interest from the south-east after marketing by joint agents Bulleys..